Our Constant Contact program is perfect for small businesses that are looking to grow online. milMedia has an all-in-one e-mail marketing solution to boost our marketing services for you. This solution makes it easier for you to do e-commerce, e-marketing, and mobile marketing. If you want to use Constant Contact for your e-mail marketing purposes, click here. Say goodbye to those old and boring e-mails. milMedia’s e-mail marketing program offers well designed mobile-responsive e-mails to help lead your customers to your website and social media accounts. 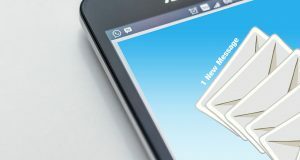 As a partner with Constant Contact, you can customize your marketing e-mails to look great and earn you better traffic. It is essential for your customers to see your product in a more eye-catching way. It’s the perfect way to market your business through e-mails. You won’t have to worry if the customer read the e-mail or not because they will certainly see it. This program enables the possibility for your company to get more leads through e-mail marketing. Through a push of a button, you can spread the word about your business to your subscribers and potential customers. An email list is important to your digital marketing efforts because you can constantly market to your customers. People that are in love with your product or service will constantly be keeping tabs on your business. According to research customers who make purchases over email offers tend to spend 138% more than those who don’t receive offers. Especially since people are known to check their email inboxes daily. milMedia can do all the hard work of email marketing for you. From the design process all the way until the send button gets pressed. This allows your email business to continue to grow while you run your business! Customize an e-mail for special occasions such as employee or customer birthdays and holidays! Add customers to your existing automated list with no hassle. Send e-mails to customers based on the content they click on to gain better results and retain customers. You are able to upload your e-mail list from other platforms (Gmail, Outlook, Excel, etc.). Our program will do the rest! There are two ways in which our Constant Contact program works. The first is by our managed account system. This is a completely hands off approach. You know you don't have time for creating email promotions or using a tool like Constant Contact, so let us do it. With this option the price for constant contact is included in your email marketing plan with us. If your business feels like it has the necessary resources to handle email marketing self-sufficiently, then you can start the process with our Constant Contact partner link. Not only will you be able to have full control over your email marketing campaigns, you will also have direct contact with a friendly Constant Contact representative. Click Here to get started using Constant Contact. *This page contains affiliate links, we love recommending awesome tools to our customers.